I decided to do this case study for my new Udemy course titled “Using Brain Power to Boost Creativity and Productivity” because many people are having issues with making money online and Udemy has been a proven platform in making this achievable. Plus it will be some sort of accountability for me to finish what I start. First off, I didn’t do so well with the first course I put out….I may have netted $62.00 total for the entire year. Most of which is due to Udemy efforts in marketing and promotions. It seemed like so many other things got in the way, so it just fell to the side. This time around I’m doing things differently. In fact, after I’m finished producing this course, I will add more training to my previous course and start the marketing process on it as well. I have created a strategic marketing plan to get this new Udemy course in front of as many eyeballs as possible. That’s what real marketers do. When you have a downfall at something, you get better… you do things differently the next time, and you get more of a structure with your planning. This Case Study will be about how to “Profit From Learning” because people always talk about how to profit from your passion. Well, this course wasn’t a passion of mine….in fact, it was information that I learned, then took and made it something of interest. Truth is, you CAN profit from what you learn, and not just what you know. So, as of now I have completed recording the majority of the course. I still have a bout 6 more videos to record. It has been a daunting task and I have procrastinated with it long enough. So, what I have is mostly PowerPoint presentations, a couple regular videos, an audio, and some worksheets, action sheets, and a resource list. Hopefully I’ll end up with just shy of 20 items for the entire course. As time goes on and I find more information that will add value to the course, I will add it at that point. 1. Created 3 articles to upload to Ezinearticles, GoArticles, and Articlebase. First, I searched for keywords using Google Keyword Planner, and made a list. I narrowed this list down by using Traffic Travis (a free SEO software) to see which words would be easiest to rank for. Then I wrote my content around those words. 1. Enter the keywords from your list. 3. See which keywords will work best. 4. Then you can view a report for each one. 5. I choose between 3-6 “0’s” in the PR column and 3-6 numbers less than 10 in the BLP column to determine if I’ll use the keyword or not. For my titles, I used the Advanced Marketing Institute Headline Analyzer and made sure my titles were at a value of at least 30%. I will also be turning my articles into a presentation to upload to Slideshare and videos. 2. Created a graphic for Pinterest. I also created a board on Pinterest on the subject of improving brain power and have repinned pins onto that board. I will create more graphics (at least 3 per week) after the course has launched to drive traffic. 3. Wrote my content for the ‘course description’ page. Since this is the first page that people will see, I used an article and combined the AIDA formula to turn the content into a compelling piece of info. (For those that don’t know, AIDA stands for Attention Interest Desire Action). It’s a term that most copywriters use for sales pages and the like. 1. Finish recording the course. 2. Submit it to Udemy. 4. Start marketing the course. Stay tuned for the next steps as I give updates on what I’m doing, what’s working, what’s not, and the list goes on. Wow! You sound so energized. 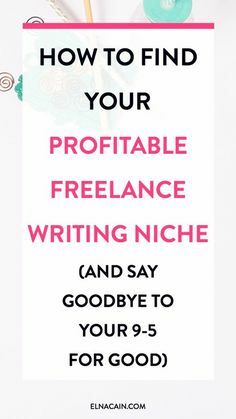 I might be a newby, but I’ve already decided not to try making a profit from my blog. At 73, the effort is not worth it. I’m sure others will benefit from your knowledge. Looks very interesting! I’m interested to see how it works out for you! This is fascinating! Very scientific approach to the project of blogging! Great tips. I’ll be putting them to use. Thank you! This is really interesting! I’ve been thinking of creating an online course for awhile but wasn’t sure how to go about it. I really like this case study! Yes Amy, something a little different for me, anyways. I guess it’s always good to switch up every now and then. Hi Lianne, it’s not as hard as I thought it would be. It’s just time consuming when you have a toddler in the background during the day. I’m hoping to create a course based on this case study once all the kinks are worked out.